Nails or staples are used to attach the planks to the underlying subfloor. Nails are generally used for thin planks of wood however staples tend to be an easier method. When it comes to deciding between nails and staples, here are a few factors to consider. Wood species - the hardness of the wood is determined by the Janka Scale and varies between species. It is recommended that exotic woods with a higher rating are nailed as the force needed to insert a staple can cause the board to split. Moisture - staples bind wood floors tight together whereas nails can allow for expansion and contraction expected with natural wood floors. For this reason, nails are recommended if you live in a humid place. It isn’t the most common method however there are some advantages to gluing down your hardwood planks. Whilst other installations leave a small gap between the planks and subfloor, gluing removes this space to create a solid, stable floor. This eliminates any noise made by the planks connecting with the subfloor. Another benefit to some is prolonged existence. If you want to increase the longevity of your floor, gluing is an option with more permanence than other methods. Unlike the other methods, floating floors do not attach to the subfloor. This tends to be a cheaper and easier installation method as fewer tools are needed and most floors click into place (though some will require adhesive). They can be installed over virtually any surface and a foam underlay can be inserted in-between for sound muffling and protection against moisture. The other benefit of not fixing to the subfloor is that the planks have that extra room for expansion and contraction. It is a great method for those looking to install the floor themselves. 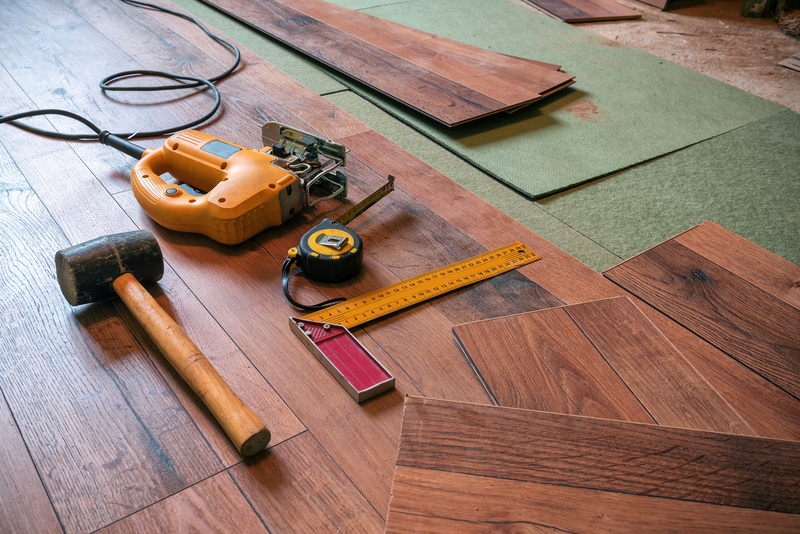 If you have any questions about installation methods, chat to one of our flooring experts at Get Floors or call us on 1300 823 958.